Spying outside conversations is illegal, as well as unethical. So, use this information on your responsibility; after all, human knowledge belongs to the world. Whatsapp is available for Mac PC. It is free. Using it on the Mac is very easy and fast. There are some of the techniques that exist to spy WhatsApp. In this article, we’ll share an amazing application which can steal WhatsApp data from any user. The name of the killer app is Whatsapp Sniffer for Mac. The can installed with Nox android emulator. Let’s know how it works. You can use the WhatsApp Sniffer for Mac to hack the WhatsApp account of Mac OS users. At the same time, it will let you get all the data of your victim’s WhatsApp account like messages, photos, and videos as well. In the meantime, you will be able to edit your victim’s messages too through this application. 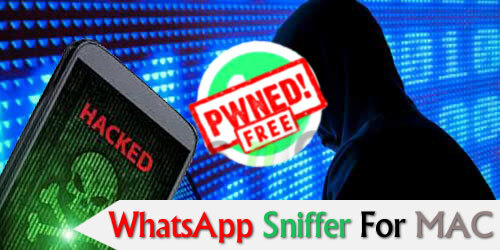 How to install WhatsApp Sniffer for Mac? We will have the detail to explain what you should do to use it. Second step: Install the Nox in your Mac PC. Third step: Now Download whatsapp sniffer and install it on MAC via Nox and open it. Fourth step: Activate the ARP-Spoof box if you are connected to a WPA / WPA2 network. Fifth step: Click on the Start button to begin the spying process. If this application were to give it to work miraculously would be to listen to all conversations and chats of WhatsApp, whether individual or in groups, that took place on the network to which we are connected, capturing and showing them in its interface. As it is not like that, you can only remain dumbfounded by watching a little circle go around incessantly without finding anything. It is one of the most versatile applications that allow its users to hack any WhatsApp account. It is just a piece of cake to get other people’s WhatsApp data like messages, photos, videos, etc. Moreover, this spying application is easy to operate due to its user-friendly interface. On the other, it is entirely free to use as well so you won’t need to spend money on hacking WhatsApp. Now, this application breaks the system of WhatsApp and lets users spy on any WhatsApp account. The best thing about this tool is that it is compatible with the Mac operating system so the Mac users will be able to use this app on their PC for hacking WhatsApp with WhatsApp Sniffer. So, you can use this application to get your victim’s data. There are some conditions that you need to follow if you want to use this application. The first thing is that your device must have the Mac operating system. On the other hand, the most important thing is that your device and your victim’s device must be on the same network that can be open source or others. In addition to that, those devices have to be close to each-other otherwise this tool is not going to work. Get WhatsApp Sniffer for iOS. The first thing we must do is download the Nox and install it on your Mac device. Then execute it by clicking on the icon that will have created us in the applications menu. The first screen that we will see, it will be the main screen of the program with a notice. It tells us that if we are connected to your network with WPA encryption. We must activate the option ARP-Spoof. To start spying conversations, we must click on "start" at the bottom of the screen. After that, you will ask for permissions. We grant them, and the program starts to search for WhatsApp conversations in our network. When you get a conversation, they will appear listed on the main screen of the program, next to a notice in the notification bar. You must remember to activate the ARP-Spoof option if we are in our network and use WPA / WPA2. Besides being able to run on Mac, WhatsApp sniffer is also the best application for Mac and stands out for its large number of functions. Note that, the spy application has no Mac version. With Nox, you can use the sniffer app. With it, you can control phone calls, read SMS and see photos, access the calendar and view contacts to identify a number, view all the history of the Internet to know which pages have visited. You cannot monitor comments on social networks and apps like Facebook, Twitter, Telegram, Line or Skype. But intercept phone photos and videos. How to Use the WhatsApp Sniffer on Mac? You need to copy the WhatsApp folder from that device whom you want to read the chat. At the time you have it you need to transfer those files to the same folder where you have extracted the WhatsApp Xtract on your Mac device. After that, you need to download the WhatsApp backup extractor that you can download from here. It is time to install the pyCrypto.bat, and then run whatsapp_xtract_android.bat or whatsapp_xtract_android_crypted.bat again. After following these steps, you will be able to get your victim’s WhatsApp chats. Lastly, As we can see, there are different ways of spying on WhatsApp conversations. So, the best way to steal or hack user conversations, log and media files is WhatsApp Sniffer for Mac. The WhatsApp Sniffer for Mac is an excellent application for all the Mac users that allows them to spy on any WhatsApp account. In addition to that, they can get all the data of their victim without any complications. If you are an owner of an iPhone, before going out here you can try this WhatsApp Sniffer for iPhone.